Have you tried making your own ice cream with a Softshell Ice Cream Ball? Did you know that today (July 20) is National Ice Cream Day, and it also happens to be my birthday! I will be celebrating with my littles by creating homemade ice cream. If you&apos;ve ever made homemade ice cream before, you know it can be a chore~the hardest part waiting for the delicious treat to be ready. To make the ice cream making process a lot easier, we have been using YayLabs! 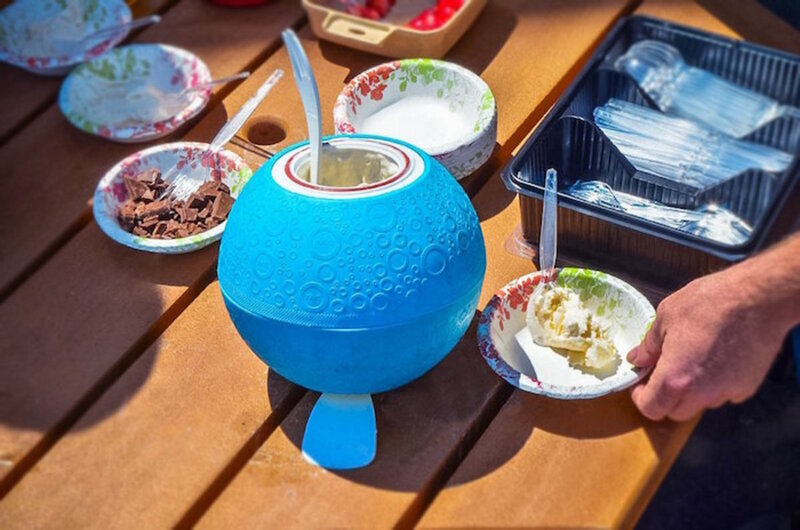 SoftShell Ice Cream Ball, a fantastic innovative ice cream maker that doubles as a ball. Through this system, kids will no longer ask, "Is it done yet?" since they are involved in the action. 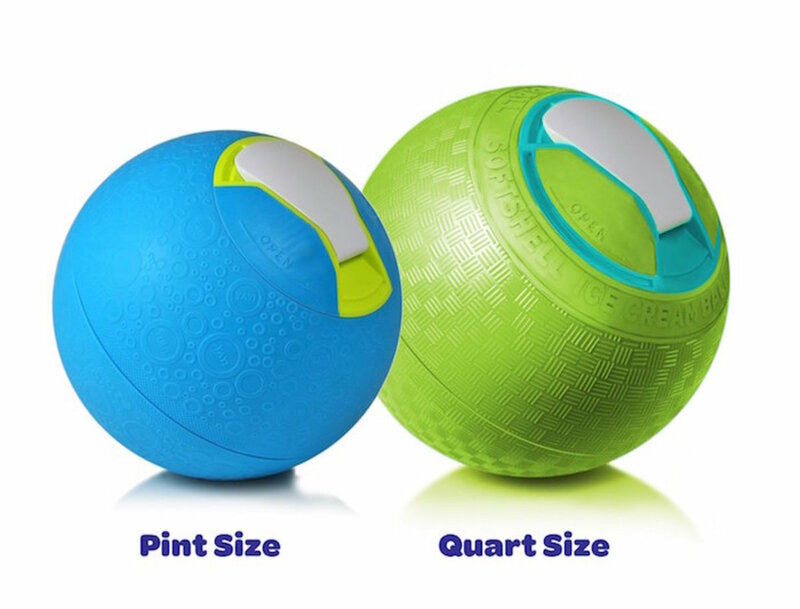 After adding some simple natural ingredients, kids can shake or roll the ball for about 20 minutes. When time&apos;s up, Viola`! a fresh pint of homemade ice cream! A few tricks of the trade: Roll, or shake your SoftShell IceCream Ball BUT do not throw, kick or attempt to bounce your ice cream maker~it was not built for that kind of rough play. The higher the fat content of the milk, the less time it takes to make the icecream. If using full cream, it should only take about 20-25 minutes to make the icecream. If using something similar to coconut milk or almond milk, it might take closer to 35 minutes to make icecream. We found using 2% milk worked better than our first attempt with skim milk. The SoftShell (Retail: $34.99) is a great DIY activity for summer picnics and outdoor parties with a combination of the kids occupied and dessert effortlessly being served. I scream, you scream, we all scream for ice cream! Which flavors are you going to mix up this summer?